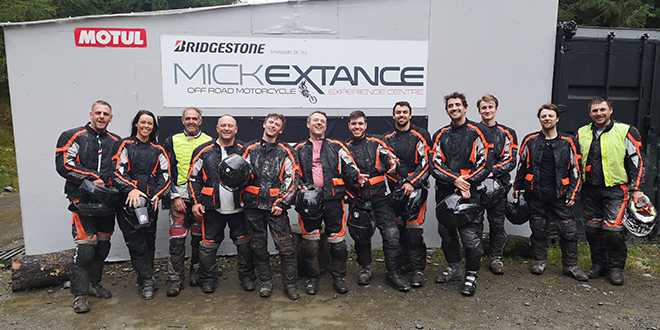 Dakar legend Mick Extance and his team brings you the ultimate off-road motorcycling experience for the best possible price. 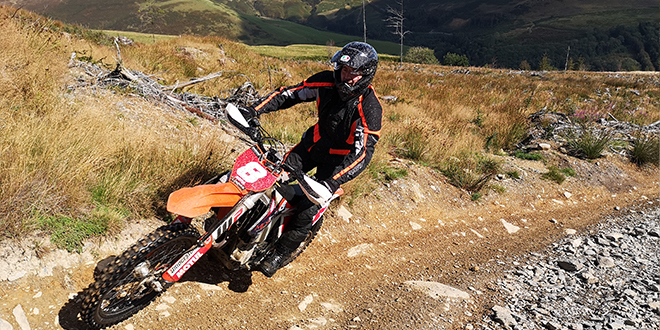 Ride an amazing variety of trails, as you wind your way through and around 1,500 acres of beautiful Welsh forest in the heart of the stunning Berwyn Mountains. If you love bikes and want to get down and dirty then this action filled day is right up your street. 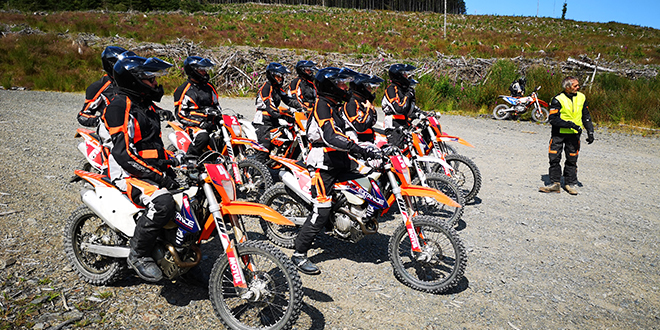 Whether you’re new to the world of off road, a seasoned veteran, or even if you’ve never ridden a bike before in your life, our team of passionate and experienced instructors are ready to give you a day to remember. 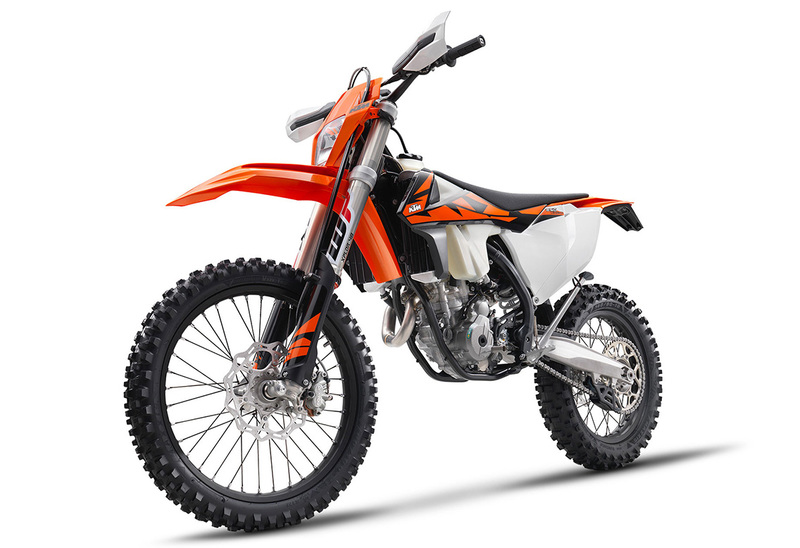 Don’t be put off by stories of giant off road bikes, we have a number of smaller bikes, perfect for those with a shorter inside leg measurement. No matter what level you ride at, there’s plenty to challenge you and make sure you go home with a satisfied smile on your face and if this is your first time, we’re pretty confident you won’t want it to be your last. 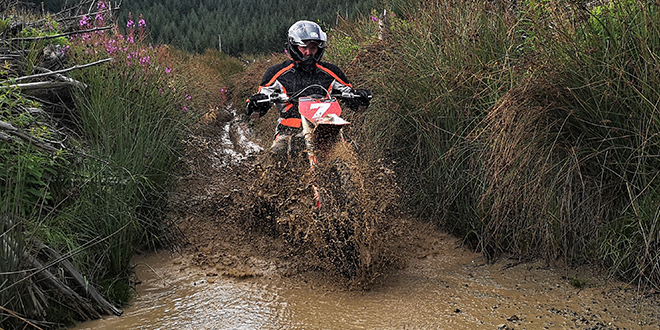 As if that wasn’t enough, we firmly believe that learning to ride an off-road bike can improve your road riding enormously. The morning session provides an opportunity to get to grips with the basics. There’s lots of coaching along the way with plenty of challenges designed to build your confidence. Your instructors will keep a close eye on you, making sure you are progressing nicely and are comfortable on your bike as you learn the trails and find out what the bikes are really made of. After lunch, it’s time to put your new-found skills to the test and enjoy more great riding across our incredible venue. Pictures taken from the day will be available for free on Facebook! 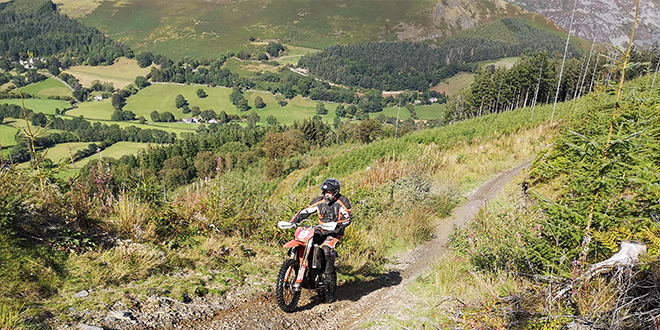 Our Ultimate Off Road Day location is situated deep in one of the most picturesque parts of Wales, close to the Shropshire border just outside the village of Llangynog, Powys. 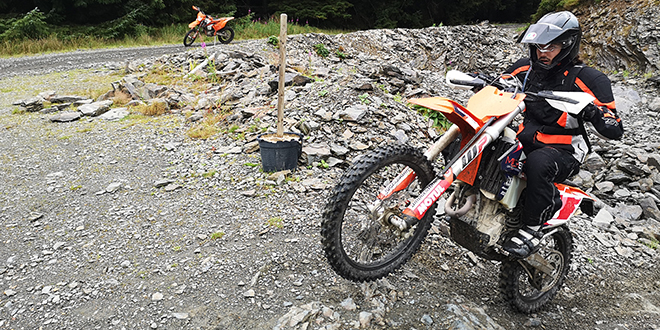 This tried and tested 1500 acre site, in the Rhyd Y Felin Forest offers fantastic offroad riding conditions, none of which is on public roads, so a UK motorcycle license is NOT needed to enjoy this truly, off road experience. Our instructors are first aid trained and our venue is fully insured. Meet at the New Inn at 9.00am then head off to the nearby Mick Extance Experience facilities. Hot drinks on arrival and during the day. Sign on and Get changed into the latest kit, Boots, helmet, goggles, elbow/knee pads. This is followed by a short minibus ride up into the mountains to meet the bikes and the rest of the team. Lead out onto the beautiful picturesque mountains where you will learn skills and techniques which will allow you to get the most out of your day. 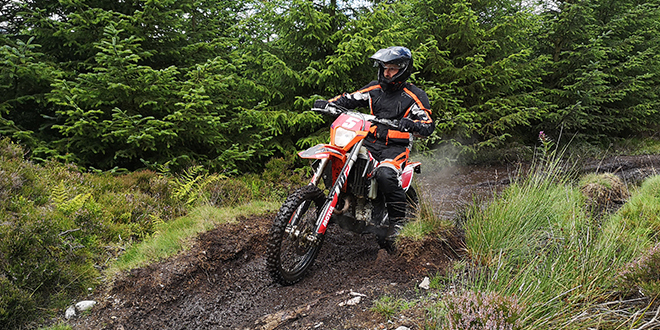 Tuition from professional off-road instructors throughout the day. Those with little or no prior motorcycle experience will get all the help they need to get to grips with the basics. Lunch is not included, but there is an opportunity to purchase sandwiches from the New Inn on arrival. You may wish to order a sandwich in advance, particularly if you have any specific dietary requirements. There is also a small tuck shop at the venue which stocks a selection of crisps, chocolate bars and cans of pop. All the necessary outer wear is provided, but it’s a good idea to bring under layers appropriate for the time of year and prevailing weather conditions likely on the day. A thick pair of socks is always a good idea, along with a dry pair to put on when the day is finished. The experience takes place in all weather conditions with the exception of heavy snow. In the event of a heavy snow fall, the experience may be subject to cancellation at short notice, and an alternative date will be offered. Maximum number of participants is normally 10. The customers’ safety and enjoyment are our prime concerns whilst taking part in any ‘Mick Extance Experience’ event. We ask that customers respect themselves, other participants and staff at the event. We reserve the right to withdraw customers from the event, who exhibit dangerous behaviour that risks the safety of other customers and staff. 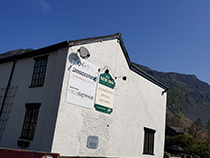 Set in glorious Welsh scenery at the foot of the Berwyns the little village of Llangynog is an ideal place for walkers and ramblers to visit and stay for a while. All of our rooms are tastefully decorated, furnished and equipped with TV and drinks facilities. The New Inn Hotel boasts an outstanding reputation for its culinary delights. Our superb home cooked food, which offers unbeatable value for money, can be enjoyed in either our attractive restaurant or our friendly lounge. Choose from a fully stocked bar, offering a great selection of ales, lagers, spirits and fine wines. There is a comfortable lounge area, where you can enjoy a tempting range of bar snacks. The bar also boasts facilities for pool, darts and TV. 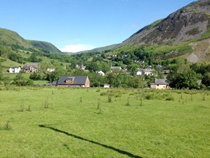 The area around Llangynog offers a variety of activities including... Shooting, horse riding, water sports, bird watching and walking, and of course, our off road experiences with Mick Extance.